VIVRI® disrupts industries by blending the best of science and nature with effective, practical and clinically backed systems. 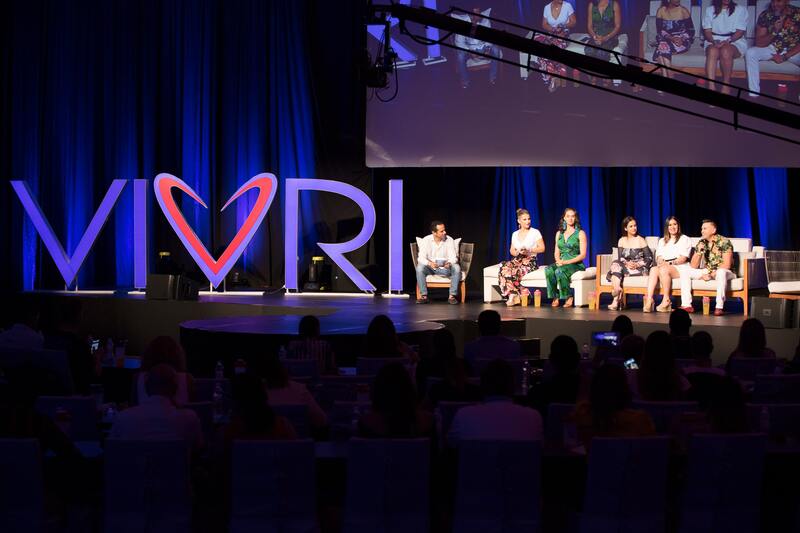 VIVRI® is a multinational Essential Nutrition Company, created by Daniel Chavez Saul (graduate of Stanford University; previously with McKinsey & Company and Goldman Sachs). By combining the best of science and nature, VIVRI® helps people achieve the best version of themselves… Inside out with VIVRI®, outside in with SENS. Our super-talented LIVs™ represent the best of the best, and share our proprietary essential nutrition systems with the world, one person at a time. VIVRI® disrupts industries by blending the best of science and nature with effective, practical and clinically backed systems thanks to the work of the VIVRI® Medical-Scientific Board, which includes members from Stanford University and other prestigious institutions. We are the pioneers of essential nutrition achieved through years of research and clinical development. We have developed formulas that fully nourish the human body using natural and premium quality ingredients harvested from the best sources in the world. As a result, we have created unique products, with international certifications that back the excellency of our raw ingredients, production quality, and the clinically-proven results. By receiving essential nutrition at the cellular level, the amazing organism that is your body will begin to function optimally. We challenge you to achieve the best version of yourself, with the VIVRI® and the SENS Challenges. Daniel Chavez Saul is the Founder & CEO of VIVRI® and SENS. He is a passionate entrepreneur focused on the creation and growth of socially responsible enterprises. Daniel started the multinational companies of VIVRI® and SENS to share premium essential nutrition and healthy lifestyles with the entire world, through a network of talented LIVs™ that help people achieve the best version of themselves. In addition to VIVRI® and SENS, he has founded real estate and consumer goods companies in the United States and Mexico. Daniel Chavez Saul’s years of professional development include experience with worldwide leaders in diverse fields: a Financial Analyst in New York with Goldman Sachs, a global leader in Investment Banking; a Consultant in the United States and India with McKinsey & Co., a worldwide leader in Strategy Consulting; and an Associate in Mexico with Hines, a global leader in Real Estate Development. Daniel Chavez Saul’s academic background is similarly distinguished. He has a Master’s degree in Business Administration (M.B.A.) from the prestigious Stanford University, where he was President of the Real Estate Club and attained Academic Excellence, positioning himself in the Top 25% of the students. Daniel also studied Economics at Harvard University, under the VUS Program, where he made the Dean’s List, which is exclusively for the Top 10% of students as ranked by academic performance. He is also co-author of the “Best Business Practices” study, jointly published by Harvard Business School and McKinsey & Co., and is certified in “Whole Foods Plant-Based Nutrition” by Cornell University.